Most of the non forest areas are SSSI, the whole area is about 25 sq miles and is surrounded by larger towns and cities of the midlands. As such the Chase is very busy, used by walkers, horse riders and mountain bikers. So there is a fragility which the Forestry and Staffordshire rangers work hard to maintain allowing us the opportunity to enjoy this varied landscape. To the south most of the land is covered with a forest crop through which many of the Single Track Mountain Bike trails are built. The ground is bunter pebble beds which means it will dry out very quickly, however the sand does wear brake pads chains and cassettes. To the very south it is clay and stays wet however not many trail users venture this far other than the hardy local XC lads. 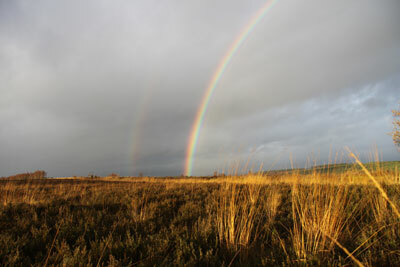 To the north there are forested areas but it is mostly Heath land and deciduous woodland. These areas are more sensitive although beautiful as the views open up. There is a wealth of bridle ways and the blue route so the area can be enjoyed responsibly. 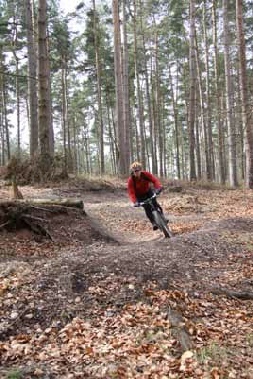 The start of the trails can be found at Birches Valley Visitors Centre. 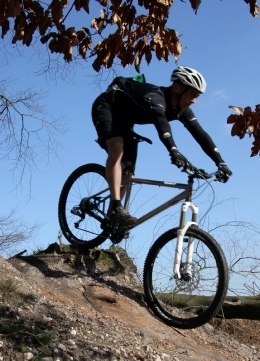 The Red route Follow the Dog and Monkey Trail are for those with singletrack experience and good basic skills. 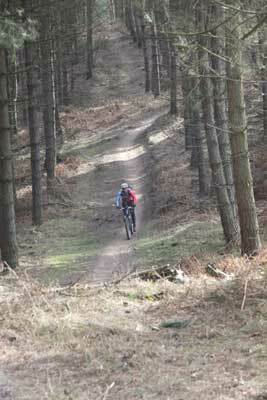 The Blue route is an enjoyable XC ride taking in all aspects of Cannock Chase. Routes are well signposted and a good map is available from Birches Valley. Cannock Chase is hilly with valleys with running streams and many ford crossings. Sherbrook Valley and Abrahams Valley are taken in by the Blue route, but climb to the west out of Sherbrook and follow the valley on the ridge and the views to North Staffordshire repay your efforts. 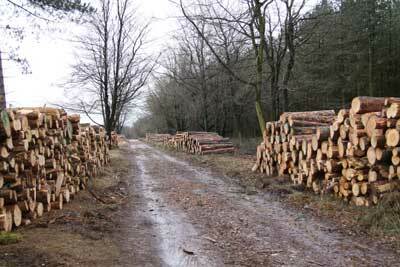 Remember Cannock Chase is a working forest so expect the odd logging activity as forestry clear mature areas. The main routes are kept open although other forestry tracks can be closed when work is taking place. Please respect the signs.